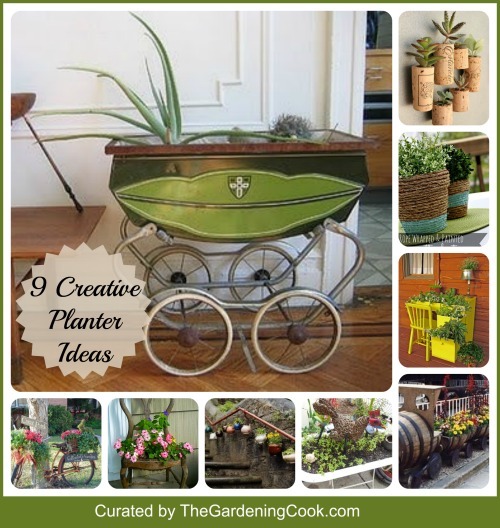 There are so many options for planters now at garden centers. 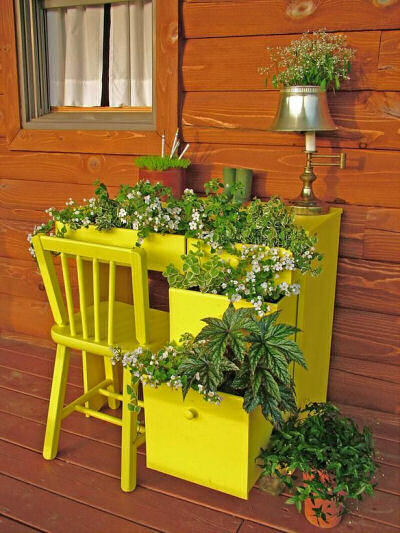 But with a bit of creative thought, many outdoor spaces can be enhanced by unique garden planters that originated from items which originally had other uses. 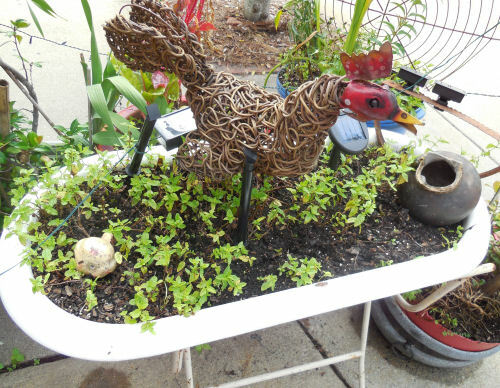 Add Pizazz to your Garden with one of these Unique Garden Planters. Not only do these planters add pizazz to your garden setting, it is nice to know that you did not have to fork over big bucks to buy one of them. Larger planters work well for perennial plants that will come back year after year. Just click on any of the pictures for more details about the planters. 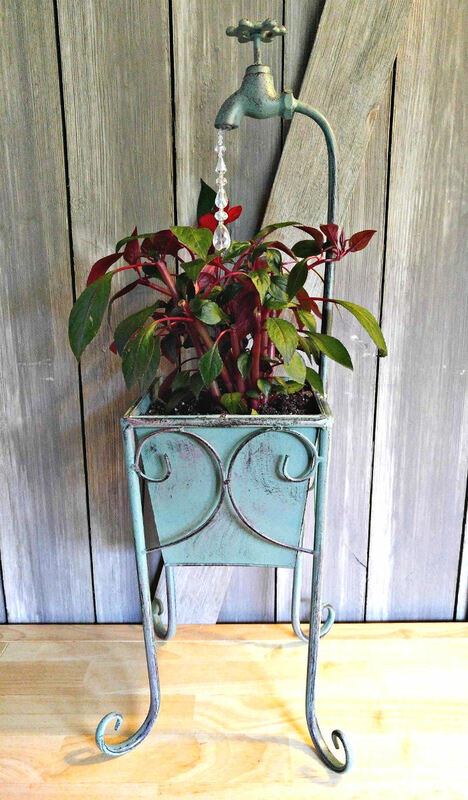 This fun water spout planter has a stream of water drops made with an old vintage necklace and some tear shaped glass beads. 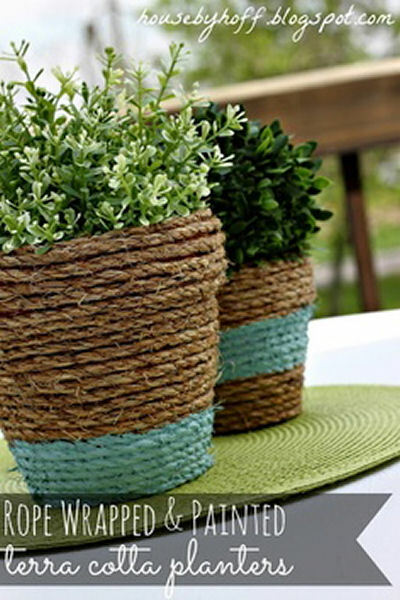 Rope Wrapped Terra Cotta planters – I love the colors of these! Turning an old office desk and chair into a fun garden planter. What a fun idea! 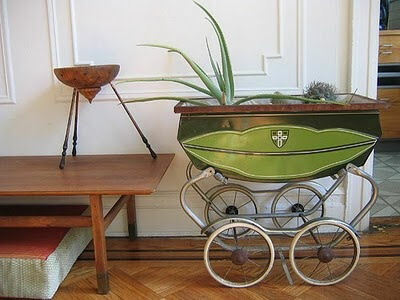 Old baby pram planter. Check out your consignment shops for finds like this! 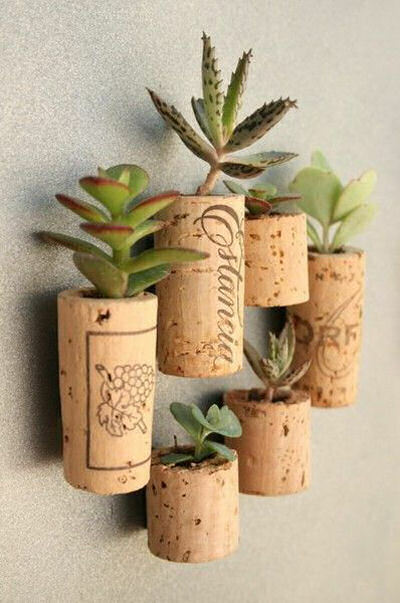 Anything can be turned into a planter. 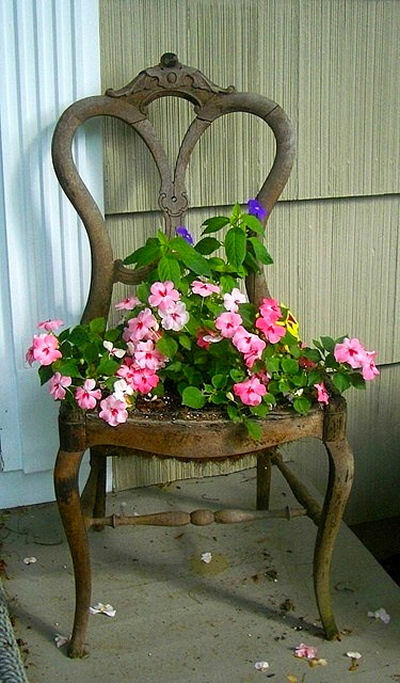 This chair planter has a unique cottage chic appeal to it. 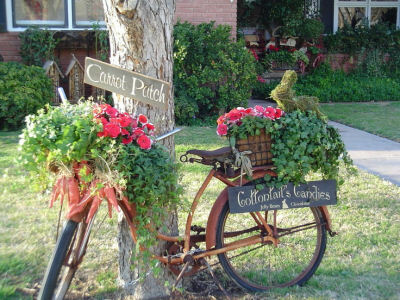 Old bicycles make great planters. Fill the basket and add another one to the seat and you have a unique look. 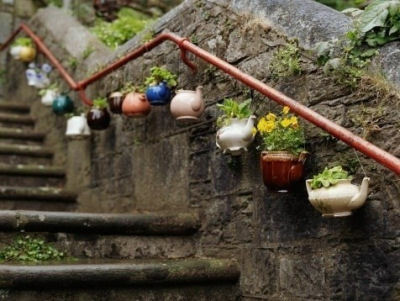 Teapots as planters and hung on rails. Great street art. What ideas have you got for unique planters. I’d love to see some photos uploaded to the comments!